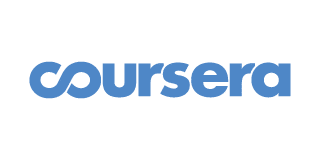 Detailed Coursera review, a famous education platform offering online courses crafted by skilled academics and universities. Overview, features and pricing. Our Coursera review outlines an online learning platform backed by many highly-respected universities and colleges from around the world. Our Coursera review shows that classes span most topics you would find in any school of secondary education with the addition of personal development classes covering various hobbies and life skills such as effective communication. These classes can be accessed free of charge, but if you want an official certificate from the accredited institution offering the class, you will have to pay for each course you want to take. In 2012, two Computer Science professors at Stanford—Professors Daphne Koller and Andrew Ng—decided to make their classes available for free online, and the response was overwhelming. This led them to launch Coursera which has expanded to partner with 149 universities around the globe to offer access to high-quality academic classes to anyone, anywhere, anytime. Since its launch, this site has served over 25 million learners through their 2,000+ classes. Recently, they have begun to offer complete degrees in some fields, allowing students to go even further on the platform. The classes on Coursera are organized in much the same way as traditional university classes would be, being broken down into humanities, social sciences, and several other categories. If you are looking for a class to contribute towards a degree program, make sure to do your research to find out what institute backs the class (information which is prominently displayed on each course page) and whether it will be accepted by your school. Once you select a class, you’ll be asked whether you want to pay to get the certificate, or if you just want to take the free version. From the time you start the class, you have 180 days of access to complete the work, although most classes have a suggested time to complete the work which is much shorter. From there, you can work through the class, watching the videos and doing assignments, as well as connecting with other learners taking the same class around the world. When you finish, if you paid for the class, you’ll receive your certificate, and you’re ready to jump into the next one! Our Coursera review concludes that for academic purposes or professional development, this is one of the best options out there. Their selection of 2,000+ courses taught by quality professors offers solid variety and a high-quality learning experience. Since the classes come from accredited universities, they have a respect factor that will give them more weight in the real world, but the same fact does limit the types of classes to those in established academic fields. Classes are extremely inexpensive, and while you do have to complete them in 180 days, since most of them are estimated to take only 4-6 weeks, that still gives a lot of flexibility to set your own pace. If you’d like to check out some other alternatives to Coursera, check out our comparison of all online courses.